On Monday morning we started off by meeting as a group to adapt our goals for the summer to the current progress of our experiments. We decided that we will aim for having all constructs ready to be transformed into yeast by the end of the summer period (Aug. 7th). In addition, we began to insert the complete constructs that we had (AKR and MnP) into both the pSCB13C backbone (for submission to the iGEM Registry) and the pSB313 (for transformation into yeast) with restriction digests. Our yeast vector pSB313 contains an Amp resistance gene for easy cloning in E. coli, which would simplify later processing. We also replenished our gblock stocks by re-running PCR, since we used up most of the previous PCR amplification products with last week’s overlap PCR and Gibson experiments. Tuesday we transformed both of the complete killswitch vectors and the AKR in pSB313 into E. coli. Since we wanted a simple method of characterizing/verifying our promoter for the killswitch, we plan to substitute the coding sequence in the killswitch with GFP and measure fluorescence; to do this, we also transformed a GFP sequence from the iGEM Registry for later 3A assembly. We also tried a new protocol for yeast transformation using all three of our backbones with fresh one-step buffer and parafilm, and we hope to see satisfactory growth by next week. As we continued to process our PCR reactions with gel extractions (as multiple bands often appeared on the image), we ran short of gel loading dye, but luckily we were able to borrow some from other Bindley occupants. Lastly, we had a meeting to discuss data representation and how we will design graphs to display our results. Wednesday we ran a Gibson reaction on Lignin Peroxidase and reorganized the freezer in the basement. For implementation into our yeast vector later, we digested the full killswitch device and pSB313. We also received our shipment of GelRed, a less toxic DNA stain for imaging our gels. Since the Lignin Peroxidase Gibson reaction only yielded one band on a gel, we decided to PCR purify the Gibson product. Finally, we obtained a wider gel comb which would allow us to load more DNA in a single gel run, increasing our DNA processing throughput, and we continued to gel extract gblock PCRs to replenish stocks. On Thursday, we found out that there was growth on the negative controls for our kill switch/AKR transformation, and we believe it was because our LB + Chloramphenicol plates were improperly prepared. However, since we still had leftover transformants from the previous day, we poured new proper antibiotic plates and plated them. We extracted a PCR amplified Tyrosinase 1 and ran a Gibson assembly of the Tyrosinase, but a gel of the construct did not show any bands, we found out later in the day. We also decided to recheck a few of our DNA concentrations with Nanodrop since a smaller than expected concentration could result in the lack of bands; turns out the concentrations were in fact lower in the Gibson product of AKR, and an abundance of primers in the amplified Gibson distorted the reading. Thus, we ran another Gibson reaction for AKR. Friday we redid Gibson assemblies on Tyrosinase and Laccase and ran PCR amplification on the Lignin Peroxidase and Versatile Peroxidase full constructs. After checking them on gels, both Lignin Peroxidase and Versatile Peroxidase appear to be constructed correctly and ready for insertion into plasmid backbones. Tyrosinase and Laccase constructs should also be ready for insertion into vector backbones, which will be done over the weekend. 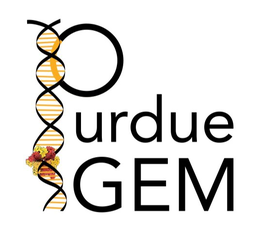 By the middle of next week, we should be ready to submit all completed constructs in pSB1C3 to the iGEM Registry.